Amazing Fruit Products-US is a family owned and operated company located in Fort Payne, Alabama. Four years ago, Amazing Fruit Products began supplying Amazin’ Raisin to students in K-12 schools nationwide. Now, we want to share them with you! Amazin’ Raisin’s patented flavor-infusion process packs each raisin with delicious, mouthwatering fruit flavor without adding any sugar or artificial sweeteners, ensuring that our Amazin Raisins are as healthful as they are flavorful. Here at Amazing Fruit Products, we have dedicated ourselves to providing you with all natural, whole food, fruit flavor-infused snacks that you can feel great about. Our nutrition label doesn’t have anything on it you can’t pronounce- doesn’t it feel Amazin’ to know exactly what you are eating? Whether you’re an educator, parent, or just someone who knows what good food tastes like… we know you’ll love our Amazin’ Raisins! Amazin’ Raisins are available in 7 tongue-tingling flavors: Strawberry, Sour Lemon, Raspberry, Sour Watermelon, Peach, Sour Pineapple, and Orange. Each 1.3-ounce package is air-tight sealed, keeping our raisins fresh and ready to serve for up to 9 months. They are the perfect snack to toss in your pack before heading out on your next adventure! Amazin’ Raisins are Vegan, Gluten Free, and GMO Free. Our manufacturing facility is Peanut and Tree Nut Free, making Amazin’ Raisins free of the top major food allergens. Amazin’ Raisins is proud to be recognized as a Smart Snack by the Alliance for a Healthier Generation. Amazin’ Raisins have all the sweet, sour, fruit flavors loved by children and “big kids” alike. 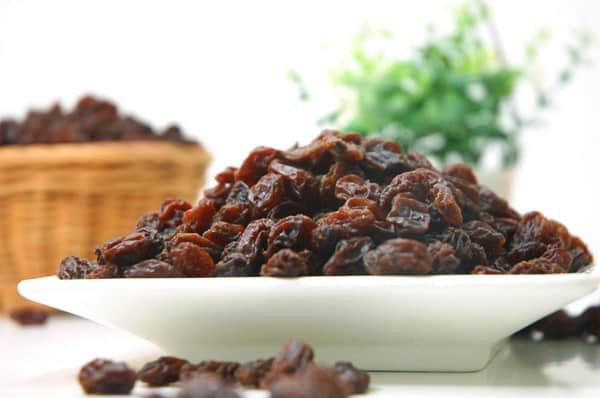 There is no sugar added; our first ingredient is naturally sweet California raisins! Amazin’ Raisins are naturally fat free, and Certified Kosher by the Orthodox Union. Amazin’ Raisin: a deliciously sweet, health-conscious treat for the whole family!